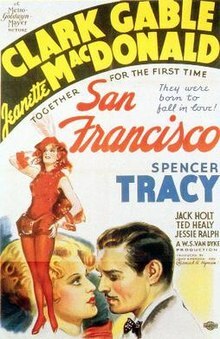 San Francisco starring Jeanette MacDonald, Spencer Tracey, and Clark Gable, is nearly two and a half hours of muddled confusion. Is it an historical dramedy? A musical disaster film? Or just an historical disaster?